M/T Ranja from the port bow, where most of the 3 torpedoes struck. From Dame Siri Holm Lawson’s superlative histories of Norwegian ships in WWII, http://warsailors.com/singleships/ranja.html. Also from Mr. Bjørn Milde’s postcard collection. The Norwegian motor tanker Ranja had a colorful history and a sudden tragic end. Because all 34 men on board her perished when she was sunk by a German U-boat off New England, we rely entirely on the German perspective in detailing her demise. The ship was built by A/B Götaverken in Gothenburg, Sweden, in a April 1928. She was 6,355 gross registered tons and owned by the Norwegian firm Rederi A/S Ruth, which in turn entrusted management of the tanker to Hagb. Waage of Oslo, Norway. Though it is not directly germane to her demise, at the end of January 1941 the ship, under a British commander and with some 150 men and one woman British, Swedish and Norwegian passengers escaping the earlier Nazi occupation of Norway, managed to survive aerial bombardment and made it to Kirkwall, in the UK, intact. During the next year or so the ship participated in numerous voyages and convoys, including to the American ports of Curacao, Bermuda, New York, Providence, Halifax, mostly bringing much-needed petroleum cargos to the UK from Canada (as always Dame Siri Lawson of warsailors.com has provided a masterful history of the ship, its people and movements). On its final voyage the ship was under command of Norwegian master Captain Andreas Catrinus Backer Mossin, aged 48. There were 34 souls on board, all of them Norwegian except for Jens Kristensen, a Danish able seaman, Karl Erikson, a Swedish cook, and two British gunners, Robert Halliday Cairns, age 21, and George Arthur Craske, age 20 and also a British Army Gunner. 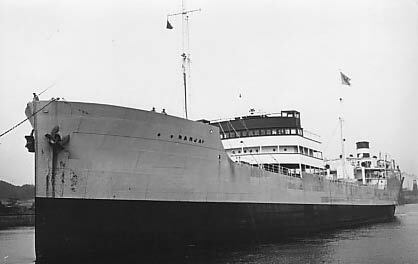 The ship arrived from Loch Ewe Scotland to load petroleum oil in Galveston Texas on the 7th of March 1942 and sailed for Houston later the same day. She left Houston two days later, on the 9th of March, bound for Halifax, where she was to join a convoy across the North Atlantic and back to the UK. Just over a week later, on the afternoon of the 17th of March, Ranja and her men were 290 nautical miles southeast of Nantucket and 400 nautical miles south of Halifax, their destination. At 5:40 pm German time (about noon local time) the German U-boat U-71 under Walter Flachsenberg, a Kapitänleutnant, soon to be promoted Korvettenkapitän. Flaschenberg was born in Mönchen-Gladbach and was age 33 at the time (he would go on to survive the war and live until age 86 in 1994). The ship was armed but unescorted and far from land or aerial protection, and U-71 spent nearly an hour and a half setting up its torpedo shots. At 6:58 pm Flachsenberg fired a pair of projectiles set at a depth of 2.5 meters (8.25 feet), from a distance of 1,400 meters (4,620 feet). They found their mark; one striking the bridge and the other ahead of the Ranja’s only funnel, which was located aft (the bridge was on an island amidships). There was a large explosion and a column of flame followed by smoke was witnessed shooting 400 meters (1,300 feet) high. Nine minutes later Flachsenberg and his men identified her as an armed tanker. By then the fire had spread to the forward parts of the ship. Under reduced speed the mortally stricken Ranja veered to port, sinking by the bow and listing to port ever more dangerously. At 7:54 pm a third and final torpedo was fired, which skipped over the surface, porpoising, from about 800 meters or 2,500 feet. This coup-de-grace struck between the bridge and the bow, at the forward mast, and caused another explosion. Shortly thereafter the foredeck appeared to break off as it submerged, the forward mast and bridge were collapsed, and what remained of the Ranja above water was burning from head to stern. The ship was stationary. Concluding that the vessel was doubtless doomed, and not having observed any survivors, Flachsenberg and his men pointed U-71 towards Cape Hatteras at 8:06 pm and motored over the horizon. There were no survivors of the Ranja. Her merchant seamen are memorialized at the Stavern Memorial in the UK and the two British naval gunners at the Chatham Naval Memorial. Son of Hans and Karen Johannesen; husband of Aaselie Kristine Hansen, of Nøtterøy. Sources http://www.krigsseilerregisteret.no/en/sjofolk/237719/and remiss for my delay in replying, which has been due to an unexpected divorce. I’m back writing again and will submit the manuscript for UBOATS IN NEW ENGLAND to Fonthill Media by mid Jan 2018. Should you wish to add anything at all by way of research, interviews, crew stories, sagas, deaths, memorials, please let me know, preferably via eric@ericwiberg.com.